Phil is our IT specialist who ensures that the firm is at the forefront of technology whilst remaining compliant with security and legal demands. 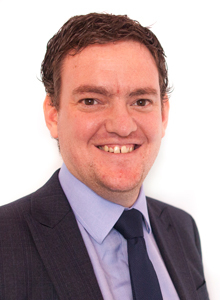 Phil qualified with the firm and advises a range of clients. It would have to be a T-Rex, just to see the sheer strength of it. My greatest achievement would definitely be becoming a Chartered Accountant! If you were a super-hero or super-villain – What would your super power be? The ability to stop time – imagine the endless amounts of things you could do while everyone else in the world is frozen still! Watching Lee Briers drop goal against Leeds in the play-offs in 2006. What three words would others use to describe you? I’d go anywhere hot, in a huge yacht!